Tell us about your journey into Sales. How did you arrive at PathFactory? I was fortunate that my first role in high-tech was a customer service representative. As I moved from customer service into Sales, I had a strong value system focused on providing the best possible service for each client and to ensure that I stayed focused on delivering value to each client (rather than the typical “kill or be killed” attitude that some sales cultures have). I joined PathFactory mid-2018 as the head of sales after successfully leading the sales and marketing teams at Obero Inc, which was acquired by Xactly/Vista Equity in early 2018. I was immediately attracted to the PathFactory’s value proposition because I could see how driving better engagement with your B2B customer can help your organization’s go-to-market strategy, and empower your marketing and sales teams with the best possible insights about what your market it is interested in. What is PathFactory for a sales team and how do you differentiate it from other B2B Sales Technology platforms? PathFactory provides our clients with the platform and strategy to drive B2B buyer enablement in an increasingly on-demand world. Enabling your buyer allows your prospects to self-educate and learn about your offering in a manner that is best suited for each individual buyer. The best way to think of this is using a Netflix analogy: your company’s website, content, and marketing strategy create moments where your prospects should be able to easily binge on the information that is most meaningful to them at that moment. PathFactory helps you track all those engagement moments to provide you with a rich data set and insights to help your marketing and sales team refine their efforts and strategy. We know that when you can create those bingeable moments, those leads are of significantly better quality, move 2-3 times faster in your pipeline and typically require less time investment by your sales and marketing teams in order to convert that interest into your next best client. The main part of our sales culture at PathFactory is “value-based selling”. PathFactory has a very rich offering and, in order to help our future clients, we need to better understand the opportunities and challenges they face in their go-to-market strategy. This allows our Account Executives and Solutions Architects to spend time showing each client how we can drive a meaningful impact in their business specifically. PathFactory has a great customer base with some of the most progressive marketers and sales leaders in the world. Using our experience from those clients, we’ve developed a Performance Marketing Outcomes (we call them PMOs) methodology that we use to build a road map for each client individually to help them build a buyer enablement strategy for their company. This strategy includes the utilization of AI and a rich buyer data set to help the sales and marketing teams navigate how they focus on optimizing every engagement with their target market. How do you achieve this culture-balance at PathFactory? What percentage of this is driven by the application of technology, reporting tools and coaching? We invest in all three elements at PathFactory in a significant way. We are always on the look-out for new technology that can help us better engage our target market and we are big believers in using data to help our teams continue to find new ways to improve. I’ve also found that data allows us to quickly ground ourselves in the facts of a situation before we get caught up in the stories of what happened. As a marketing software company, we are evangelizing a new concept for most companies and in order for our teams to be great at doing that, we need to invest significantly to ensure anyone who is customer facing has a strong understanding of how we can help our buyers, what areas of our platform are most meaningful to each client, and how we can have a significant impact on their success. This means we are always training our teams on many aspects of their role, our technology, and our customers each and every week. Tell us how you achieve the Marketing-Sales alignment. How does it impact your targets? It starts with the leadership team and the expectation that we will not be successful without each other! We have an amazing marketing team that is not only highly creative but also performant driven. One of their main success points is to help our sales teams (Business Development, Account Executive and Partner Sales) effectively engage with our target market. In order to make this happen, we have invested to ensure that we have a clear model and plan for how our teams work together, and what level of capacity so we can deploy on a monthly basis to drive awareness, pipeline, and ultimately new customers from our go-to-market efforts. It also helps that we use PathFactory’s own Content Insight and Activation Platform, including PathFactory for Sales, to allow our sales teams to see exactly how much time a marketing-qualified lead has spent engaging with our marketing content. Sales reps never have to wonder whether a lead is truly qualified or not because they can see each prospect’s engagement, down to the second, right in their Salesforce dashboard. How different is B2B Data for marketing and sales technology products compared to other technologies in SaaS and Cloud? B2B data is evolving quickly in today’s market. Data that helps organizations understand what your buyers are engaging with is proving to be the best way to drive quality pipeline, faster for our sales and marketing teams! Previously, the best salespeople and marketers would spend their time crafting ways to communicate to their markets on their terms. They would use “drip methods” to steadily feed each person a regular dose of their story, building interest and creating awareness over 4-6 weeks. They’d steadily deliver what they thought were the perfect little pieces of information so that a small portion (typically less than 2%) of those people would either raise their hands or hit a magical lead score. Then, Sales would begin a process of following up that included calls, emails, and any other method they could find to get someone to talk to them. And once they finally got someone to take their call, the first words that were spoken were usually, “I understand you read our emails about…. ____”. When you compare that to how each of us conducts our personal lives where we get interested in a topic, like buying a new TV or watching our favorite show, we BINGE. We dive in deep at the moment we want to. Our favorite platforms like Amazon or Netflix quickly understand our interests and begin to create a Custom Channel for each and every one of us! Every click lets us dive in deeper to a point we’re not only educated, but we’ve begun to show these companies specifics about our interests in a manner that has us looking up from our Netflix shows at 3 AM on a Sunday morning wondering what happened to Saturday. This happens because these companies have the content to activate me as a buyer, and the data that allows for that hyper-personalization of meaningful, insightful information! B2B buyer engagement data allows us as B2B marketers and salespeople to make that happen for our clients as well. It’s no longer just the “consumerization” of B2B buying – it’s the Netflixification or the Amazonification. How do you differentiate—Customer Success vs. Customer Service? How have these changed in the past 5 years with Cloud Contact Centers and Chatbots? At PathFactory, we’ve taken a progressive approach to how we deliver value for our customers. As mentioned before, we developed our Performance Marketing Outcomes (PMOs) framework and it is core to how we ensure our customers see success with their investment with PathFactory. These outcomes provide a foundation to explain the value our clients will receive throughout three different stages of maturity, and ultimately it provides our customers with a strategy to drive buyer enablement within their company. It’s like a roadmap we’re both using to navigate our relationship. What are the core strategies you focus at PathFactory for Global business development? How does it impact your revenue channels? Our main driver is how we’ve tied our go-to-market strategy together with our target market and the core buyers we know will benefit from having a buyer enablement strategy for their company. As this encompasses thousands of companies and typically 6-8 buyers in each, we recognize how important it is that our strategy is consistently executed on across customer-facing teams in the organization, including Sales, Marketing, and Customer Experience. How do you leverage AI and automation at PathFactory? How does it enhance your Personalization delivered to customers? AI has been a core part of our platform for over 2 years. It is a critical component that allows a buyer to binge on the content and information that they are truly most interested in. PathFactory’s Content Insight and Activation Platform can instantaneously read every piece of content loaded into the system and use the data associated with each to create a detailed understanding of the topics your content is serving to your buyer. The AI in the platform can match the interests of each buyer to the most relevant piece of information to help you create a bingeing experience that allows your buyer to self-educate. At the same time, it gives sales and marketing the right signals to engage the buyer in the most meaningful way possible, creating velocity in your pipeline and driving to better quality engagements that allow buyers to become customers. Which sales tech automation and tools do you use? How do they make your sales work easy? We use PathFactory’s own platform to enable our buyers, and we also use other technologies to automate everything from how we pursue our target market, to how we follow up with leads and prospects in the most effective manner possible. We’ve also begun utilizing technology that helps us coach our sales teams to be more empathetic with our buyers and ensure we focus on the real value that we can deliver through our platform. How do you see the competition from other Marketing and Sales technology providers? Where do you see the landscape heading to? It’s amazing how many technologies the average company is deploying to create efficiency in their sales and marketing teams. In the end, all of these tools are design to help us find a better way to engage with our buyers, and drive better results like Sales and Marketing professionals. We believe that by approaching this from a buyer enablement perspective (rather than marketing or sales enablement) and using buyer engagement data with AI, you can drive a new level of efficiency that allows for better quality engagements that will improve the quality of your pipeline and your team’s ability to turn the buyer into a customer. What are the major pain points for sales-driven companies in leveraging traditional CRM and Data Management platforms/ technologies for their own benefits and for business development? A click or an email open doesn’t tell us anything about how to better engage with our target market or buyers, it only tells us they know how to use a mouse. As sellers and marketers, we need to understand what our buyers are truly interested in and where they spent their valuable time when they were on your website or opening your emails. We need to connect that to the next logical piece of information to harvest that interest and drive engagement that is based on value. We then need to provide those valuable insights to our marketing and sales teams to they can properly engage that buyer in a meaningful discussion that drives value in the future. What are your predictions and observations on the “Role of Chatbots and AI Conversations” influencing the Sales journeys? No doubt, there is some value in how we automate how we engage with our customers, but just like Netflix, we need to proactively recommend the next logical movie or show to drive that engagement. In 2018, we announced a few key partnerships with companies that are in this space, such as Drift. PathFactory provides a method to activate those engagements using your chatbots in a manner that creates a bingeing opportunity for your buyer. And of course, we also capture all the data that helps your drive better engagement across all your customers, using all your channels, including bots. How do you prepare for an AI-centric world as a Sales Technology leader? First and foremost, by taking the time to understand how AI and machine learning can be applied in business today. Risto Siilasmaa, Chairman of the Board of Directors of Nokia Corporation, published an excellent blog and video on why every business person needs to understand AI and I would highly recommend it. As a go-to-market focused leader, I’ve found the events SiriusDecisions hosts each year focused on both marketing and sales to be very valuable. They do an excellent job of bringing in both experts and real-world customer examples that are quite insightful. There are two new trends evolving with B2B performant-based marketers that we should all get very comfortable with as we build and execute our go-to-market model. (1) Buyer enablement – If 70% of the buyer’s engagement with you and your product/services occurs without they buyer talking to your sales teams, we need to find a meaningful way to enable our buyers to consume our content/information just like the way we do it as B2C buyers. Wouldn’t be great to be bragging at the water cooler on a Monday morning about how many buyers “binged” on your content, just like you do when you chat about Netflix? (2) Buyer and content engagement data gives you the best, first-party data insights on how your buyers are engaging with your content and allows you to create better buyer experiences. Develop the best content and the insights to refine and improve every channel you use to create awareness in your target market. Tag a person whose answers to these questions would like to read from the industry? Thank You, Philip, for answering all our questions. We hope to see you again, soon. PathFactory’s Content Insight and Activation Platform helps B2B marketers understand the role of content in the buyer’s journey and discover a new class of data to optimize the path to purchase. PathFactory uses this data and insight to optimize content delivery across every channel, connecting buyers with the most relevant information whenever and wherever they click. Visit PathFactory.com to learn more. Phillip Kaszuba is the Vice President of Sales at Toronto-based marketing technology company PathFactory. 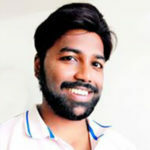 He is a 25+ year high-tech veteran with a proven track record of building sales, marketing, and customer-facing teams across SaaS/cloud, software, services, and product-based revenue streams that are successful at every growth stage, from initial concept through to predictable, scalable revenue models. 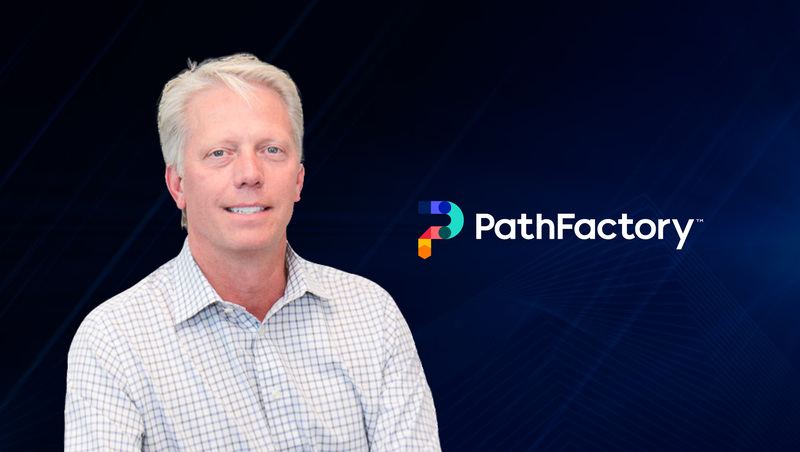 Before joining PathFactory, Phil held leadership roles at Obero – Sales Performance Management (acquired by Xactly/Vista Equity), DMTI Spatial (acquired by Neopost), and Sun Microsystems, where he led a $270 Million business unit.